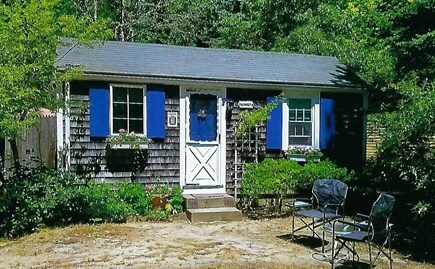 Cute as a button, knotty pine seasonal studio cottage, tucked under the pine and oaks in North Eastham. In a quiet setting, situated less than a mile from Steele Rd. bay beach and about a mile from ocean beaches and fresh water ponds. 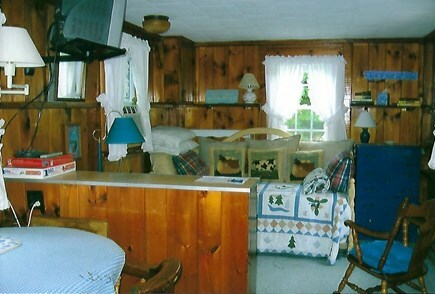 This cedar shingled, air conditioned and heated cottage sleeps two adults. It provides a daybed with pop up trundle (two twins), indoor and outdoor showers, TV and DVD player, Wi Fi, fully equipped eat-in kitchen with dishwasher, stove, frig, toaster, coffeemaker and microwave. 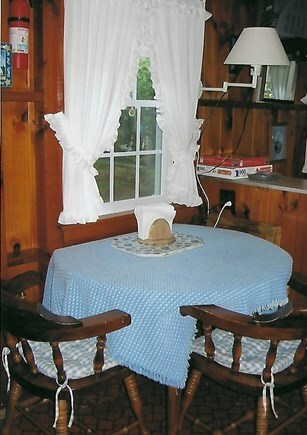 Outside features include picnic table, gas grill and lawn furniture. We loved this cozy cottage. It is in a perfect location; extremely close to bayside and National Seashore beaches. The cottage was in pristine condition with adorable beach décor and is the perfect size for a couple's week long getaway. The outdoor shower and grill were extremely convenient and helped make this the perfect stay. Can't wait to return to this property! The cottage ( The Falmouth) was exactly what I was looking for! Small and quaint and well stocked with everything one might need including a corkscrew. The location was perfect for beaching it at the gorgeous National Seashore beaches and a short drive to Provincetown, Chatham, and Orleans, my favorite places to go. Evenings were very quiet with nothing but the sounds of nature. Cannot wait to return. 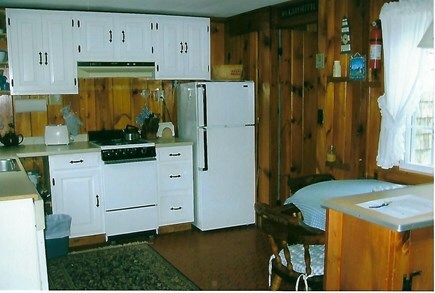 My husband and I live in Eastham and have owned this rental property since 2005. It is a fun retirement project for us and we have enjoyed meeting our guests from all over the USA and Canada. We take pride in offering a comfortable, clean studio cottage for one or two people and strive to help our guests with their vacation plans. This cottage is part of a cottage colony which has 8 units. Each is privately owned and two or three in the colony are rental units. 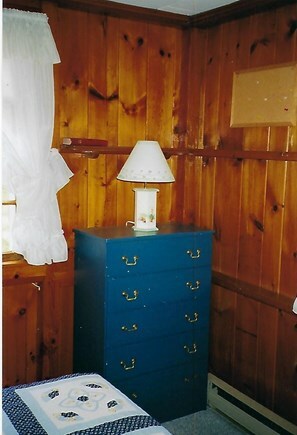 It is situated in a very quiet setting, far off the highway, and near the Steele Road bay beach. The famous Cape Bike Path is nearby, as well as Audubon, ocean beaches and the beautiful National Seashore park. Eastham has so much to offer the visitor. Many historic sites await- including our Lighthouse, Windmill on the town green on Route 6, the Swift Daley House and the Penniman House ( ship captain's home). There are 7 accessible bay beaches in town as well as two ocean beaches with parking and a fresh water pond. We are proud of our fine dining and restaurants as well as two general stores for quick shopping.